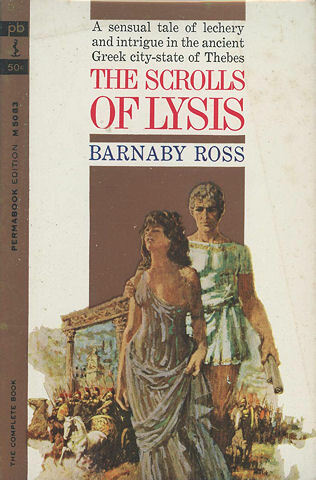 ﻿ The Scrolls of Lysis - Q.B.I. "It took time as all satisfactory revenge does, and it surmounted obstacles thrown in its path that might have defeated a less clever - or you may prefer to call it unscrupulous - man. Forgive me if I boast a bit. The gods know I've been given little enough to be proud of in my life. So if I can be forgiven one touch of vanity it would be that which concerns the manner in which I went about destroying the Supreme Boeotarch of Thebes, the most superior being, Epaminondas. Henceforth, I knew, I'd be ten times as suspect as I'd been before. If I bungled a second bit of trickery as I had the first, nothing could save me from swift and final punishment. And yet trickery with the Scrolls of Lysis was my only opportunity to gain my revenge. It would require patience and I must train myself in this virtue, which had never been one of my strong qualities, if I hoped to succeed - and what else did I have to live for?" Written by Don Tracy. 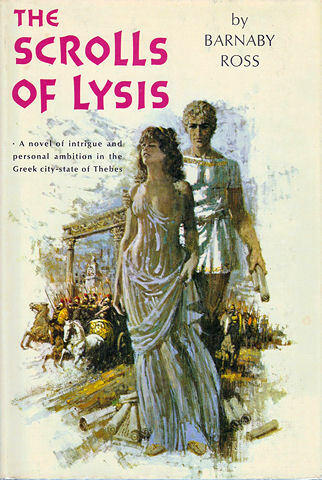 Supposed to be the first historical novel of ancient Thebes. 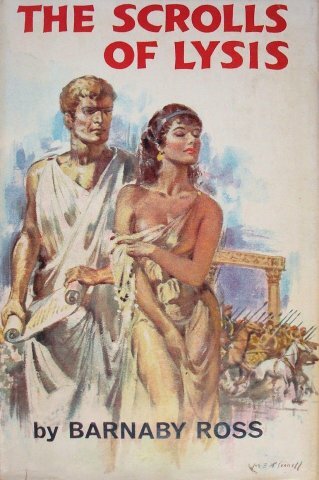 Set in ancient Greece circa 394 B.C. 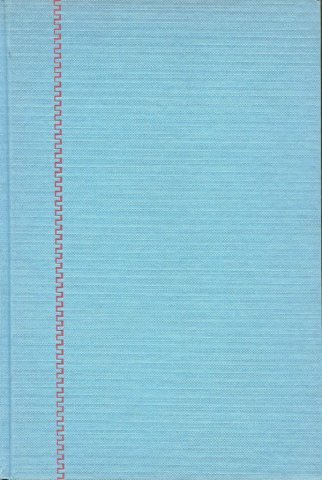 where Thamus, a smart teenage scholar with a deformed foot lives on the island of Gyarus. His old teacher Lysis is an exiled wise man who has has been writing some serious prophecies onto scrolls which only Thamus has been taught to read. Copyright © MCMXCIX-MMXV Ellery Queen, a website on deduction. All rights reserved.